The SkyGuider mount is simple to set up. Just attach the mount to a tripod. Mount your digital camera or lightweight scope onto the mount via a ball head and balance it. Align the mount to the Pole Star using the included AccuAlignTM dark field illuminated polar scope and a smart phone App. 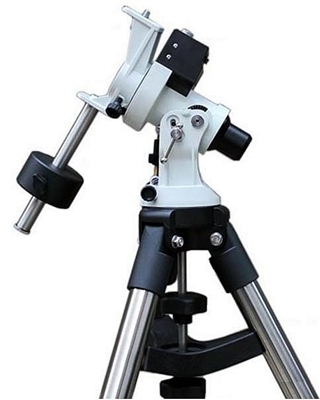 Aim your camera or telescope to a sky object. Then turn on the motor and it will keep your camera tracking at the same speed the earth rotates! With the same gears and meshing mechanism as the ZEQ25, the SkyGuider keeps your camera in motion to avoid star trails and allows you to take long exposures for beautiful images of the night sky. A built-in ST-4 compatible guide port will enable you to autoguide the mount and make the tracking even better! 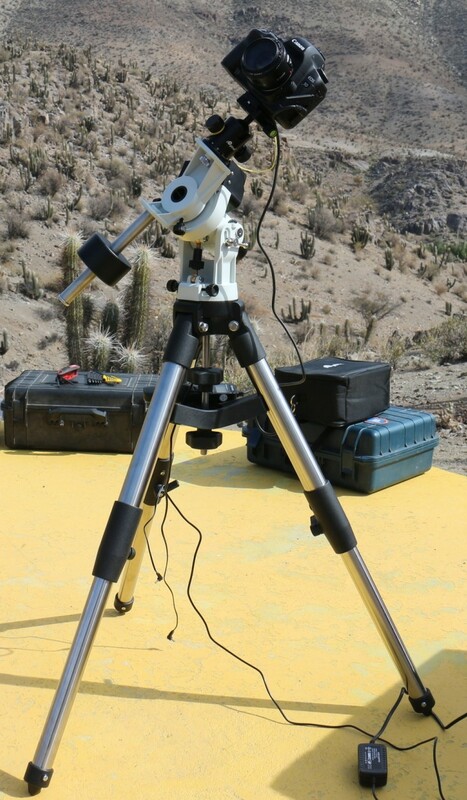 A short filed tripod (28 inch) makes the system a perfect portable imaging system.